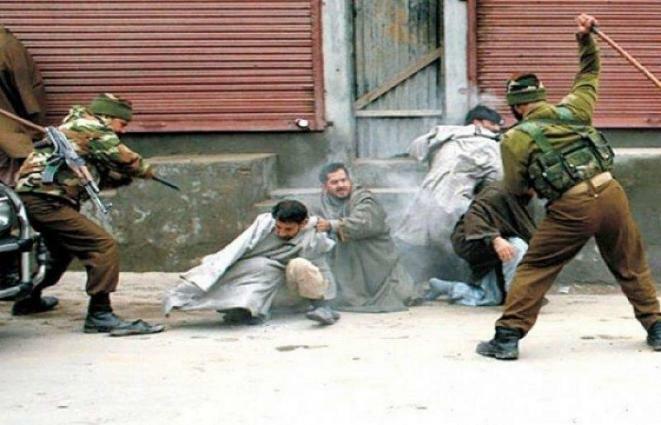 The Senate Standing Committee on Kashmir Affairs and Gilgit Baltistan here on Wednesday was informed that the Ministry of Kashmir and Gilgit Balistan is coordinating with the Ministry of Information, Broadcasting and Foreign Affairs for effectively highlighting the issue of Indian atrocities in Indian Occupied Kashmir on different media platforms and international forums in light of HRCP report. The Committee met under the Chairmanship of Senator Professor Sajid Mir at the Parliament House and was attended among others by Senators Nighat Mirza, Anwar Lal Deen, Siraj ul Haq, Minister for Kashmir Affairs and Gilgit Baltistan Ali Amin Gandapur, Secretary of the ministry Tariq Mahmood Pasha and other senior officials of the Ministry. The Committee was informed that all messages and programmes to be arranged for observance of Black Day on 27 October will have highlights from the report and ptv, PBC and PEMRA have been passed on specific instructions to ensure airing special messages. The Committee was told that the issue of grants to AJK and GB and how the grants can be increased in prevalent Constitutional structure has been referred to Law Division and Ministry of Finance. The Committee decided to take up briefings on development work in AJK and GB and facilities of tourism in these areas in separate meetings to be able to have detailed discussion and to come up with sound proposals. During discussion on a public petition regarding non-availability of 3g, 4g services in AJK resulting from PTA not giving licenses any cellular company, the Committee was told that the areas are under jurisdiction of SCOs who are responsible for telecom services in the area. They have taken the matter to court and hence it is now sub-judice so any action can only be taken once the stay is vacated. Discussion was also held on another public petition regarding taxes, land acquisition and CPEC in Gilgit Baltistan.